The list of our authorized resellers has just expanded! Since now on one can buy our products from Leaman Computing Ltd. 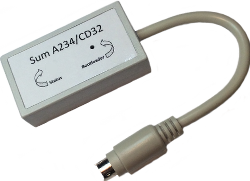 Sum A234/CD32 will be a USB HID keyboard interface for Amiga 2000/3000/4000/CD32 computer systems. This software update is dedicated for Sum USB (A1200) and Sum A600 models. The list of our authorized resellers has just expanded! Since now on one can buy our products from Vesalia Computer. 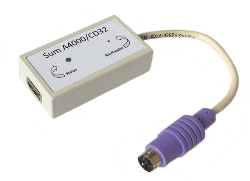 Sum A600 development has been completed thereby introducing a new and compact solution that allows connecting USB keyboard devices to Amiga 600 computer. New firmware update for Sum USB. 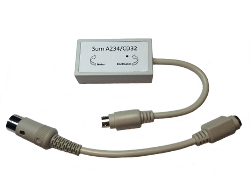 We are really proud to present the prototype of the new A2000/A3000 Sum USB adapter. This new device is also compatible with A500s equipped with appropriate converter. The list of our authorized resellers has just expanded! Since now on one can buy our products from Alinea Computer. We are pleased to announce that we have established cooperation with several online shops for retro computing fans. New firmware update for Ryś MKII. New firmware update for Ryś USB and Ryś MKII. 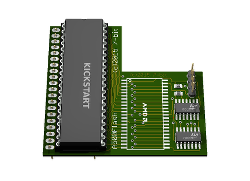 This is a project of a Kickstart switcher that enables programming flash memory with AmigaOS software. This update brings new mouse emulation mode designed for pads. 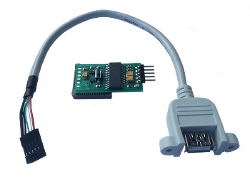 Thanks to the new firmware version Rys_JoystickToUSB (Ryś USB / Ryś MKII) and dedicated Ryś USB / Ryś MK II adapter one can now connect original Amiga, C64, Atari joysticks to PCs, Macs and AmigaNG computers using USB A-A cable. Finalization of new version of Ryś development. 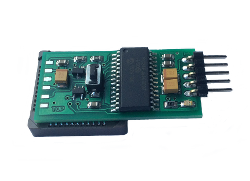 The newer version comes with redesigned PCB board and additional EEPROM memory for storing device settings. From 5th until 17th January there have been some issues with correct operation of the contact form. In case you experienced it, please resend your messages.